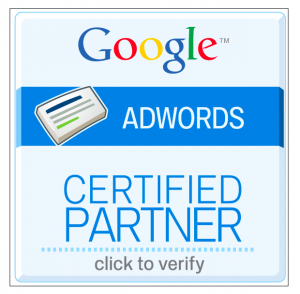 In just a few days after the official announcement from Google to be raising the bar for Adwords Certification, Utrecht based paid search agency “PremiumClicks” acquired their new Adwords Partner Certification. “Training and education plays a vital role within our business”, claims Wytze van de Belt, MD of the firm. “If you compare the new exams to the traditional exams, you’ll find a clear shift in focus from recalling basic knowledge to best practices”. PremiumClicks was the first Dutch agency to pass the new “Search Advertising Advanced” Exams two months ago and now also the first to pass the new “Reporting & Analysis Advanced” Exams. “Although we officially achieved our new Adwords Partner Certification right at the introduction of the new Certification program, due to completing the Advertising Fundamentals and Search Advertising Advanced exams, we’re happy to add the “Reporting & Analysis Advanced” exam to our list. For agencies and advertisers looking to take the “Reporting & Analysis Advanced” exam anytime soon, Wytze hints to pay close attention to your Website Optimizer and –if applicable your clients Conversion optimizer workflow and settings, as this covers most of the exam. The last exam in this series of four exams is the “Display Advertising Advanced” exam. Google hasn’t announced an official release date for the exam, but when they do, we will be on the fence to proclaim our title. You too can benefit from our Risk-Free Search Engine Marketing. Our CPA Marketing model eliminates agency fees, setup costs and ensures maximum scalability for your online marketing campaigns. © 2019 PremiumClicks | Search & Lead Generation Agency. All Rights Reserved.